So… I’ve decided to walk the South West Coast Path. I need to get to a decent level of fitness again because I sit down too much at work. Even outside work tend to languish in the house doing things that often involve me sitting down or standing up but not going very far. I’ve already decided to decrease the use of my car to the bare minimum during the weekend and during the week, which involves me walking to the shop. Too often I find excuses not to walk and use the car, though. So, this is going to be a struggle, or in the worst case a battle of wills between the part of me that wants to stay at home and relax and the part that knows it’s not good for me. 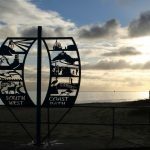 Why the South West Coast Path? In short, I love walking, but I’m not a gym person. It just wouldn’t happen. I would be one of those people who pay a lot in membership fees and never go! If I had to exercise in a gym, walking, rowing, running or cycling while getting nowhere, seeing a blank wall in front of me, at best a window, no thanks. I also love walking in beautiful countryside and I like photography. So the South West Coast Path seemed the perfect solution. It means I can see a different landscape rolling out in front of me with every stage, and I can indulge in my interest in photography. I’m also lucky enough to life in a part of the country from where I can access the South West Coast Path fairly easily. Even the parts that are further away are within a couple of hours drive. I decided to walk the path ‘the other way round’ because that’s the person I am… always going against the grain. 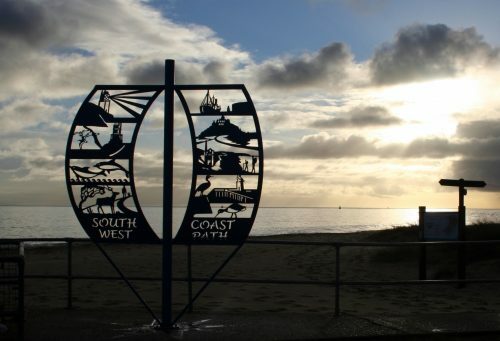 Seriously though, starting my walk in Poole makes sense as it’s the part that’s closest to where I live and will allow me to walk closer to home for longer. This will give me the time to prepare for the sections further away. I plan to buy a small van to make into a campervan. I don’t want to go camping in a tent, sleeping on the ground anymore. My body just won’t allow it to the extent it did and enjoyed when I was younger. I also don’t fancy using hotels or a B&B when it comes to the point that it would make more sense to stay away for the night. I enjoy walking on my own, unless I have a walking partner I get on well with and who shares my interests and outlook, and I don’t fancy staying somewhere on my own. Using a camper also increases my freedom and will allow me to start walking or driving off when I want during the day, rather than waiting for breakfast to be served. Having a small camper would suit me well. The downside is that I don’t get to meet people in those places, but I meet enough people during my walks. So this is a bit of the background as to the why I’m doing this. I hope you enjoy my website and your own adventures during your walks. I hope it encourages you to go out there yourself, even if you can’t do the South West Coast Path, and enjoy the outdoors.